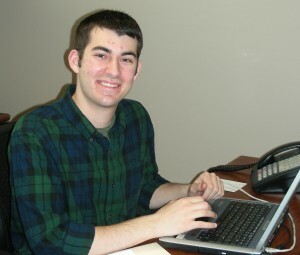 GraceConnect and the Brethren Missionary Herald Company welcomes intern Ethan Sheckler. A native of Goshen, Ind., Ethan is a senior at Grace College and plans to graduate in May. He has served as copy editor and staff writer for the Grace College Sounding Board. Watch for Ethan’s byline on graceconnect.us and in the new GraceConnect magazine. He’ll be writing regularly about news and events in the Fellowship of Grace Brethren Churches and assisting with projects related to BMH Books.